Happy Saints: 30% off Happy Saints eBooks this Christmas Weekend! 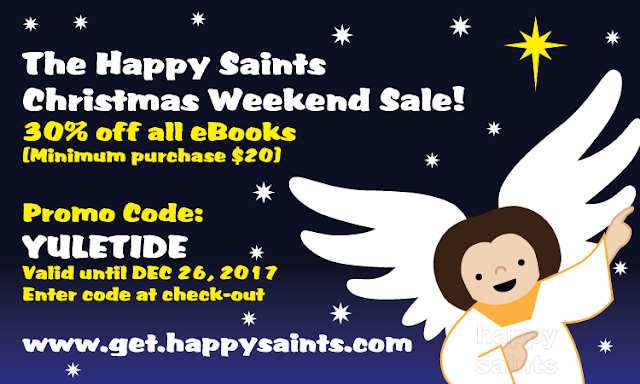 30% off Happy Saints eBooks this Christmas Weekend! The Happy Saints Christmas Weekend Sale is on! Get 30% off all Happy Saints ebooks with minimum purchase of $20. Happy Saints eBooks feature cartoon artworks of beloved Saints of God and Bible Scenes in printable posters, prayer cards, greeting cards, coloring pages and badges for countless activities and occasions.